Orders will be processed and delivered according to the schedule promised to the customer, accompanied with clear, accurate shipping and billing information. All inquiries will be handled with a spirit of urgency to ensure that pricing, inventory, or process information is delivered to the appropriate person. 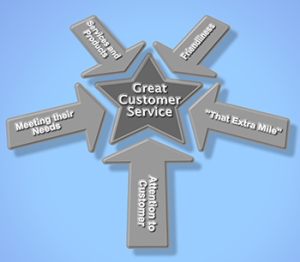 Processes, procedures, and a style of doing business will be developed to ensure optimum efficiency for the customer. We will find ways to make our customers’ business easier while striving to be easy to work with. We will make sure that customers are updated with accurate information concerning the status of their orders. Employees will approach all customer contacts from a position of respect, service, flexibility, truthfulness, cooperation, and friendliness.